El Instituto de Estudios sobre América Latina y el Caribe de la Facultad de Ciencias Sociales de la Universidad de Buenos Aires (IEALC, FSOC, UBA) apoya el proyecto de ley de Interrupción Voluntaria del Embarazo (IVE) que tiene media sanción y será tratado en la Cámara de Senadores el próximo 8 de agosto. El proyecto de ley IVE es producto de años de trabajo y de lucha. 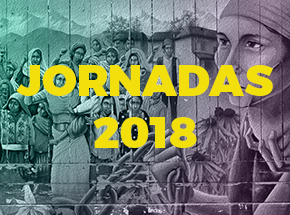 Expresa, además, la construcción de un amplio consenso social en torno a la legalización del acceso al aborto como derecho humano de las mujeres y toda persona con capacidad de gestar, a decidir con libertad y autonomía sobre su cuerpo y sus proyectos de vida. Fue formulado por la Campaña nacional por el derecho al aborto legal, seguro y gratuito en una estrategia política transversal que supuso el debate en todo el país. Fruto de este largo trabajo y militancia, el proyecto que hoy tiene media sanción cuenta con el apoyo activo de los más diversos sectores sociales, entre los que se encuentra gran parte de la comunidad universitaria, así como de la comunidad científica, artística y tecnológica. Consideramos que lxs integrantes del Congreso de la Nación tienen la función primordial de garantizar y regular, a través de las leyes que sancionan, el acceso al bien común para todos los ciudadanos. Esta tarea requiere la sanción de medidas que amplíen derechos y generen políticas que los garanticen, más allá de las creencias personales y opiniones de cualquier sector. La legalización del aborto es, en este sentido, un paso fundamental en el reconocimiento de la dignidad de las personas al reconocerlas como sujetos con derecho a decidir sobre sus cuerpos y sus vidas. Es también un mecanismo de igualación de derechos entre quienes tienen los recursos económicos para abortar sin poner en riesgo su vida y quienes no. Exigimos a la Cámara de Senadores que el próximo 8 de agosto escuche lo que nuestra sociedad ya legitimó con sus prácticas y las más diversas manifestaciones y apruebe sin dilaciones, ni modificaciones el proyecto que se debatirá en el recinto. Wonderful blog you have here but I was curious if you knew of any community forums that cover the same topics talked about here? I’d really like to be a part of group where I can get suggestions from other knowledgeable people that share the same interest. If you have any recommendations, please let me know. Thanks a lot! I together with my guys were following the good helpful hints found on the website while quickly I had an awful suspicion I never thanked the web blog owner for those strategies. The people were as a result very interested to read all of them and now have in actuality been making the most of them. Many thanks for really being so helpful and also for getting variety of superb subjects millions of individuals are really needing to be informed on. Our own honest apologies for not expressing gratitude to earlier. wonderful publish, very informative. I ponder why the other specialists of this sector don’t understand this. You should continue your writing. I’m sure, you have a great readers’ base already! I’d must examine with you here. Which isn’t something I often do! I get pleasure from studying a publish that can make individuals think. Additionally, thanks for allowing me to remark! Throughout this grand design of things you secure an A just for hard work. Where exactly you actually misplaced me personally was first on the particulars. You know, they say, the devil is in the details… And that couldn’t be more accurate here. Having said that, let me tell you exactly what did give good results. The writing is actually very engaging which is most likely the reason why I am making the effort in order to comment. I do not really make it a regular habit of doing that. Secondly, while I can notice the jumps in reason you make, I am not really sure of how you appear to unite the ideas which in turn produce the actual conclusion. For the moment I will, no doubt yield to your position but wish in the future you link your facts better. An impressive share, I simply given this onto a colleague who was doing a little analysis on this. And he in truth purchased me breakfast as a result of I discovered it for him.. smile. So let me reword that: Thnx for the deal with! However yeah Thnkx for spending the time to debate this, I really feel strongly about it and love reading extra on this topic. If doable, as you turn into expertise, would you thoughts updating your blog with extra details? It is highly helpful for me. Big thumb up for this blog post! I’m extremely inspired along with your writing skills as well as with the structure for your blog. Is this a paid subject or did you customize it your self? Anyway stay up the excellent high quality writing, it is uncommon to peer a nice weblog like this one nowadays.. The very core of your writing while sounding agreeable originally, did not really sit properly with me after some time. Somewhere within the paragraphs you actually managed to make me a believer unfortunately just for a very short while. I nevertheless have got a problem with your jumps in assumptions and you might do nicely to fill in all those breaks. When you can accomplish that, I could definitely be impressed. I cherished up to you will obtain performed proper here. The cartoon is attractive, your authored material stylish. nonetheless, you command get got an nervousness over that you wish be handing over the following. unwell indubitably come more in the past again since exactly the similar nearly very steadily within case you defend this hike. whoah this blog is wonderful i love reading your posts. Keep up the good work! You know, lots of people are hunting around for this information, you could aid them greatly.